The victories that elude him seem to bother him more than the wins he celebrates—even monumental ones. 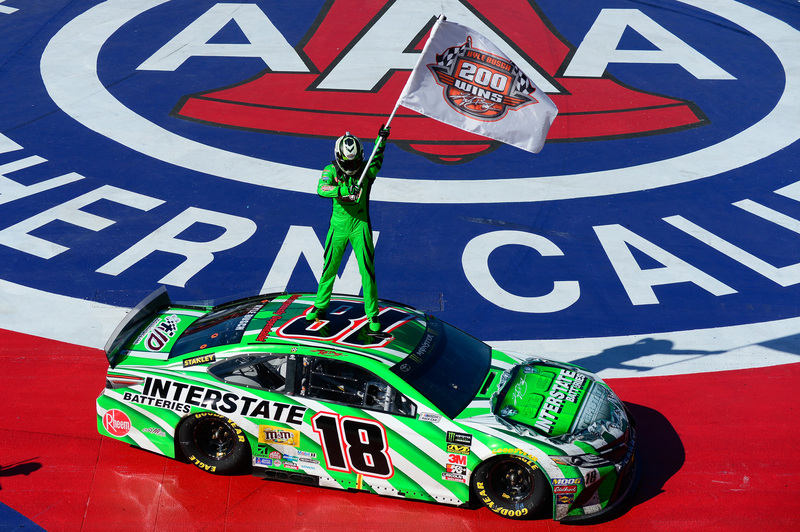 You’d think that Kyle Busch would have been overcome with elation after collecting his 200th NASCAR national series victory in Sunday’s Auto Club 400 at Auto Club Speedway. After all, that was a milestone goal Busch had announced years ago. That hate-to-lose attitude has propelled Busch to the 200-victory mark, and it may well carry him to his next goal—raising his Cup victory total from the current 53 to 100. Though each driver has one championship to his credit—Kurt in 2004 and Kyle in 2015–Kyle now has 53 Monster Energy NASCAR Cup Series victories to 30 for his brother. And Kurt is well aware of the gap.